Have a fresh install of KivyPie, which is some months old, with updates (have done apt update/upgrade). I assume there is some conflict between old stuff in the OS and new updates. Edit: it worked earlier, and the only difference seems to be new updates. Browse other questions tagged kernel rtc crash or ask your own question. 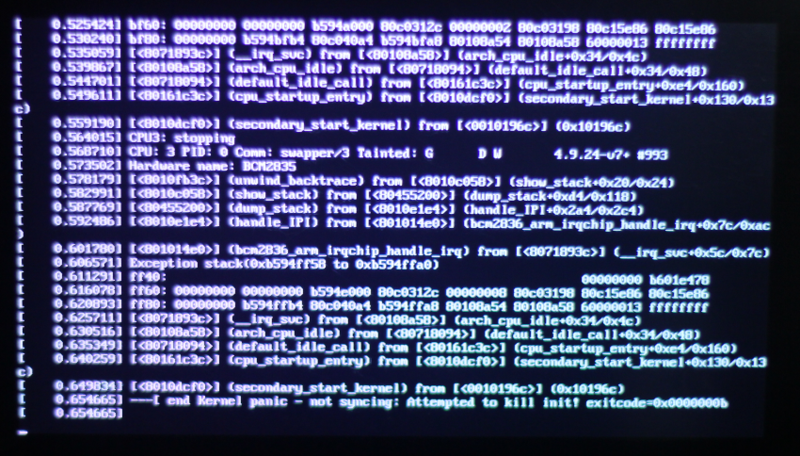 Raspbian Kernel panic after RTC module .ko - How to unload modules at boot time?